This product is perfect for the Halloween season! This is a money and time saver! 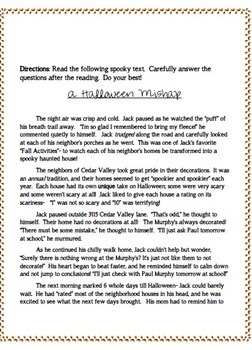 Halloween Comprehension Activities (8 pages) and a complete novel study for Witches by Roald Dahl (23 pages). 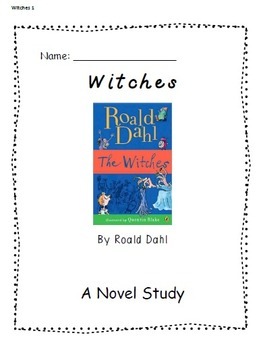 The Novel study is a 23 page activity packet to accompany Roald Dahl's hilarious book, 'Witches". This book is one of my children's favorites, and these activities will keep your students engaged in the book! I've broken down the reading into sections, and each sections requires students to answer questions and complete a variety of other activities. These activities include: vocabulary work, text connections, character web, friendly letters, multiple choice questions, and more. 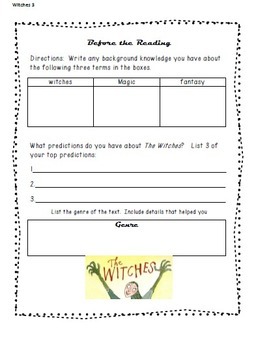 Witches is a Fountas and Pinnell level R or Guided Reading 40. I hope you find this Halloween Super Pack useful!